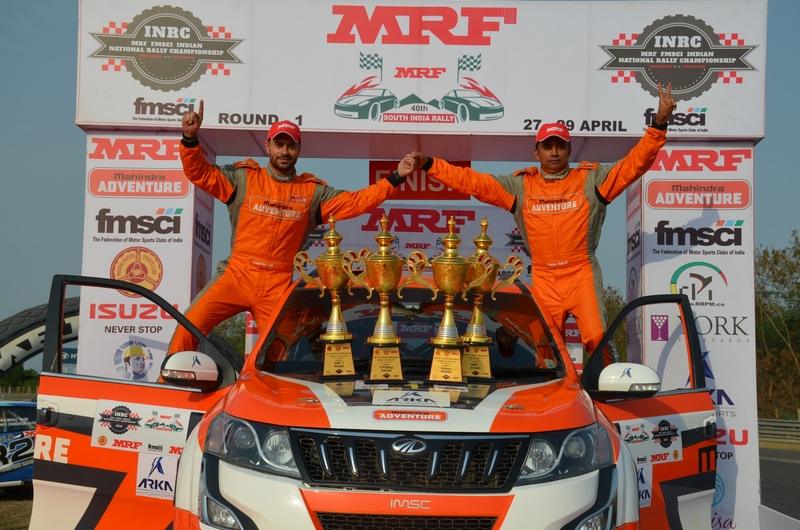 Sriperumbudur, April 29: Defending champion Gaurav Gill captured the opening round of the MRF FMSCI Indian National Rally Championship 2018, winning the MRF 40th South India Rally in style here on Sunday. INRC: 1) Gaurav Gill/Musa Sherif (Team Mahindra Adventure) – 01:28:43.1 hours; 2) Amittrajit Ghosh/Ashwin Naik (Team Mahindra Adventure) – 1:30:39.6 hrs; 3) Karna Kadur/Nikhil V Pai (Arka Motorsports) – 01:30:59.4 hrs. 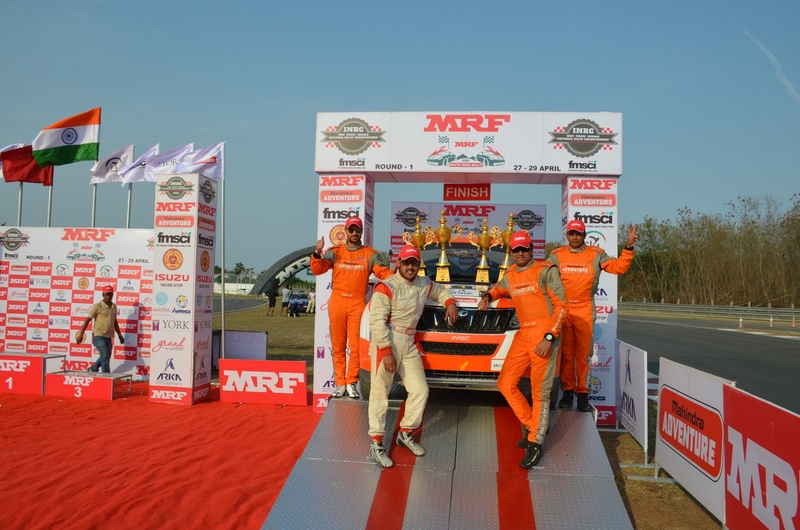 INRC 1: 1) Gaurav Gill/Musa Sherif (Team Mahindra Adventure) – 01:28:43.1 hours; 2) Amittrajit Ghosh/Ashwin Naik (Team Mahindra Adventure) – 1:30:39.6 hrs; 3) Vicky Chandhok/Chandramouli M (VW Motorsport) – 01:34:31.7 hrs. 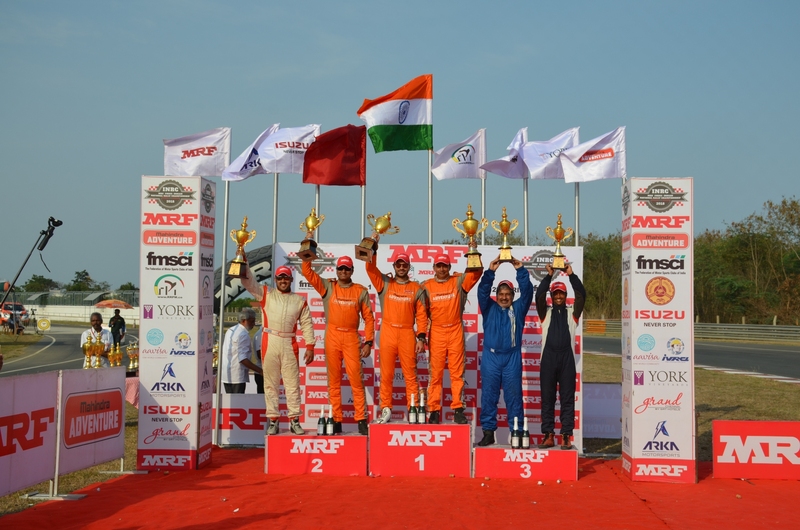 INRC 2: 1) Karna Kadur/Nikhil V Pai (Arka Motorsports) – 01:30:59.4 hours; 2) Rahul Kanthraj/Vivek Y Bhatt (Arka Motorsports) – 1:32:45.6hrs; 3) Sumit Punjabi/Shahid Salman (Snap Racing) – 1:35:53.4 hrs. INRC 3: 1) Aroor Vikram Rao/Somayya AG (Falkon Motorsports) – 01:31:55.5 hours; 2) Dean Mascarenhas/Shruptha Padival (Falkon Motorsports) – 1:32:37.3 hrs; 3) Fabid Ahmer/Fayaz Arakkal – 1:33:00.5 hrs. FMSCI 2WD: 1) Adith KC/Suraj K – 1:33:28.7 hrs; 2) Suraj Thomas/Sob George – 1:36:29.5 hrs; 3) Ravi MS/Priyamvada Saradhi – 1:41:17.5hrs.